He had a faithful 75,000 facebook followers, backed financially by his step mom, endorsed by La Southmost, endorsed by the blogger “el rrun rrun”, even the Southern Texas Independent Journalists Association had predicted a landslide win, so exactly what happened? First and foremost, the majority of people that follow the cheez are uneducated and many of them are illegal aliens without papers, so even if they wanted to vote, they wouldn’t be able to. They’re a few people that I know that voted for him and wanted to maybe give him a chance, to which I understand and can respect it too. He asked to be endorsed by La Southmost, which is a social media page on facebook with over 130,000 followers but the followers on that page simply don’t vote. 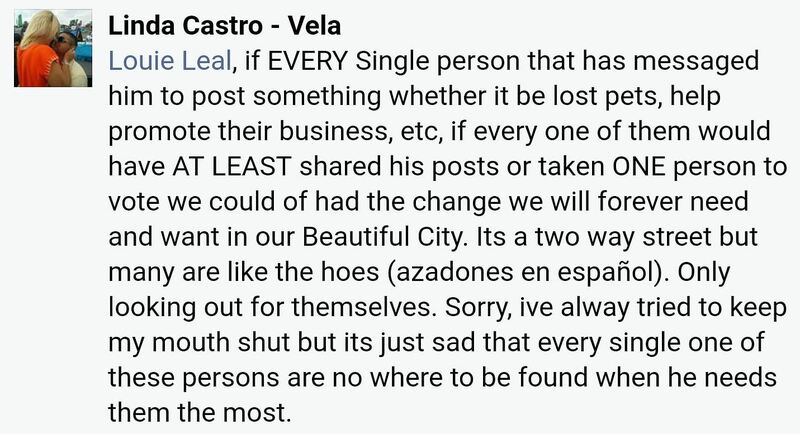 On election day, Erasmo had posted “If you don’t vote, your comments on Facebook don’t matter” to which one of his most loyal followers responded “I lost my ID”, and thus didn’t vote for his compadre. Checking the FAQ’s of the official site www.votetexas.gov/faq/index.html it mentions that you have 7 forms of acceptable ID that you can use and if not you can also use other forms of supporting ID such as copy of or original current utility bill, copy of or original bank statement, copy of or original government check, copy of or original paycheck and a slew of other things. If his closest followers didn’t vote for him, what made him think random people would vote? 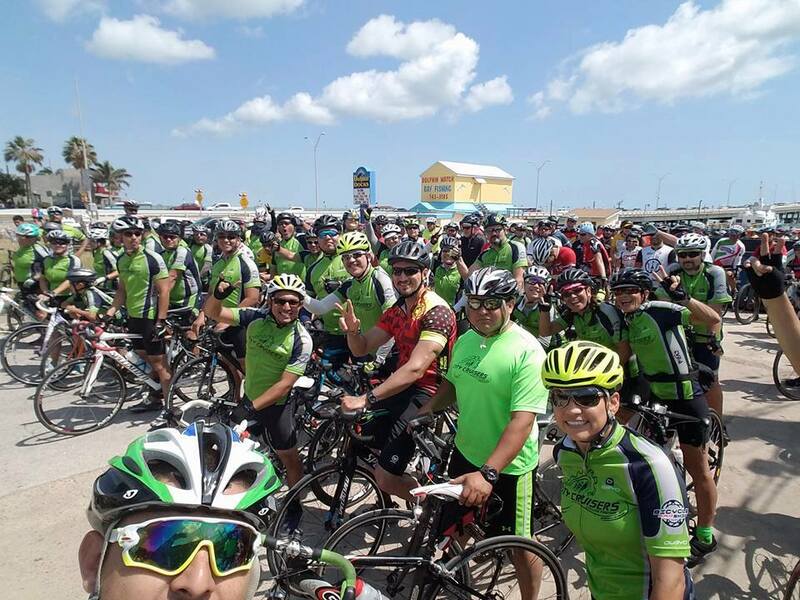 Hundreds of bicyclists from Brownsville pedaling to South Padre. One of the issues that Erasmo tried to point out was making a false statements on the bike trails and how they’re only used by the elite. A lot of people I know (in Brownsville) and pretty much everyone else loves them, I’m not an avid cyclist myself but have had the opportunity to ride with a few friends in Houston on some of the trails we have here and let me tell you, it’s quiet a lot of fun going out there with your friends and other groups of cyclists going through forests and dedicated trails around the city. Hundreds if not thousands of people use the bike trails on a daily basis and these are people just like you and me, so when several people heard the lies el marrano was writing about them, they voted against him. 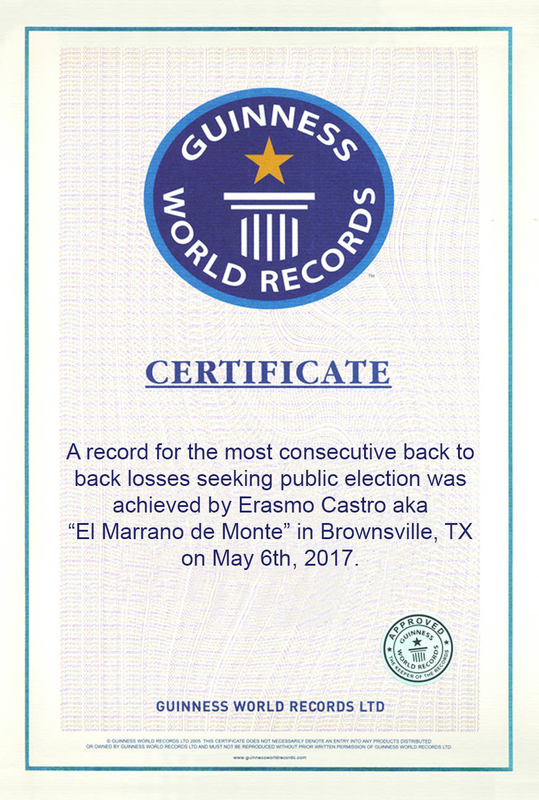 Perhaps if Erasmo stuck to facts, rather than fiction he would of had a few more votes from the biking community. The late Mark Twain once said, “The world doesn’t owe you anything, it was here first”. When you genuinely help somebody and do it from the bottom of your heart, you shouldn’t expect anything in return. I’ve been asked by dozens of people to share things for them and I have done on occasion but never have I shared something with the expectation that later they would owe me a favor in return. Castro on the other hand shared posts of lost dogs and everything else for people because he thought in his mind he could charge these favors in return for a vote when the time came, so it goes to show that he never really has the best person’s interest at heart. Linda Castro shows what type of person she is by a response in a post, it’s like the Spanish saying goes “Si vas a querer cobrar favores, mejor no los hagas” meaning that if you’re going to charge for favors, then it’s best not to do them. After running consecutively now for mayor, democratic county chair, BISD trustee place #5 and now city commissioner at-large B and always coming up short, his own followers have started to notice that all of this now has been for show and not to work for the community. I believe that he’s not happy with himself unless the attention is focused on him and everytime he runs for a public elected position the spotlight is focused on him and it doesn’t matter whether he gets good publicity or bad publicity, as long as people are talking about him he’s jerking off. Previously in another article I made months ago titled The pig who never stopped running, I had mentioned that erasmo after losing the election would run in 2018 for BISD trustee and just confirmed to what I predicted. He’ll probably be looking to run against Carlos Elizondo since it’s unclear if the fire chief may run for re-election, what is very clear is that Erasmo will continue to run for public office at any cost in his thirst for power, doesn’t matter what position it is as long as he can try, he will. There’s still more stories that need to be published, but rest assured they will come out to light when the right time comes, #nomorecheezmeh is here to stay. For the mean time, I’ll be writing other stories and articles. I'm a Blogger, Website master, fan of the US Men's National Team. I like making videos on food and drinks. I'm married, have a wonderful wife that I've been with for over 6years and have a 5 year old son. I speak 4 languages, English, Spanish, Portuguese, Danish. I work at home and work on complex IT systems for a living. Anything you need to know, hit me up on facebook or twitter. ya dijo que va a voler a seguir con su “carrera politica” nooooooooo, pero se va a tomar un descanso!! !